A Supreme Court bench comprising Justice T.S. Thakur, Justice A.R. Dave and Justice A.K. Sikri has reportedly extended till September 30, the special facilities provided to Sahara Chief Subrata Roy to assist in the communication for negotiating transactions to raise money to pay market regulator Securities and Exchange Board of India. 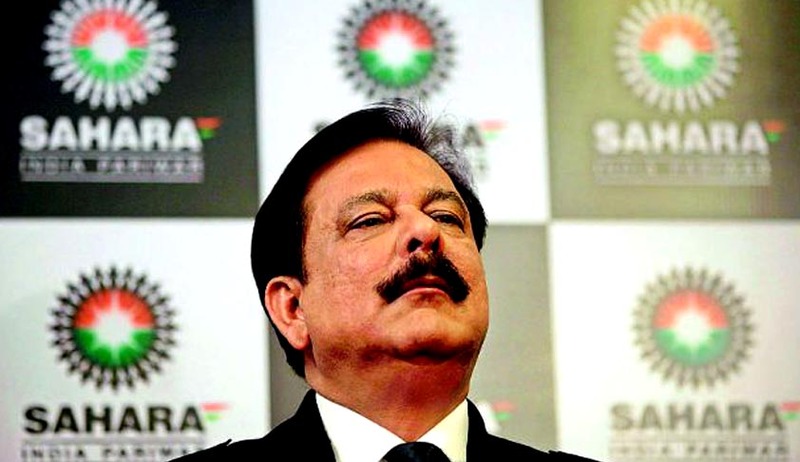 Sahara was directed to submit in a sealed envelope, the terms of mortgage between it and the Bank of China for getting a loan of about $800 million. This loan was meant for buying its three overseas hotels - Grosvenor House Hotel in London and the New York Plaza and Dream New York hotels in New York. The Bench also urged Sahara to inform it about the information that it had acquired regarding the conditions on which the Bank of China transferred loan to Reuben brothers. Senior Advocate Shekhar Naphade, who is assisting the Court as the amicus curiae argued that it was first necessary to ascertain the citizenship of the Reuben brothers. Sibal however pleaded that negotiations have taken place with them with great difficulty and hence they shouldn’t be allowed to “run away”. He further informed that Court that since no Indian bank is keen to furnish the bank guarantee for Roy’s release, Sahara is making an effort to furnish the entire amount in cash. The Supreme Court was approached by the two foreign firms, expressing their willingness to buy Sahara Group’s three overseas hotels, Grosvenor House Hotel in London, the New York Plaza and Dream New York hotels. British Company, Kane Capital Partners, had approached the Court with a Rs 6,370-crore proposal to acquire the Sahara Group’s Grosvenor House hotel in London. A New York based consultant firm had also approached the Court, seeking the considerations for the sale of Sahara’s New York hotels. You may read the LiveLaw story here. Sahara however rejected the proposals. “We will develop these properties. All these persons are looking to grab these properties. These properties including the London property have a huge potential,” the Bench was told. The Court was informed by Senior Counsel Kapil Sibal that Sahara had an offer of $6 billion for the three hotels which was higher than one offered by the British company. He supplied the documents and the memorandum of understanding signed with some of those entities in a sealed cover and said “these are serious offers”. He further informed the Court that Sahara might deliver the news regarding the transaction in the next 10 days. Counsel Prashant Kumar representing one of the parties reportedly informed the Court that a prospective buyer of Sahara’s two New York hotels had offered $800 million but Subrata Roy's son Sushanto Roy "orally" told them to send the proposal to Lalit Modi. Responding to this, in a mail, Modi said if there was an offer of more than $965 million, it could be considered and declined the offer of $800 million. Later in June, the Supreme Court allowed Sahara to sell certain properties in UP and ordered the proceeds to go to SEBI-Sahara Refund Account after adjusting transaction cost and taxes.